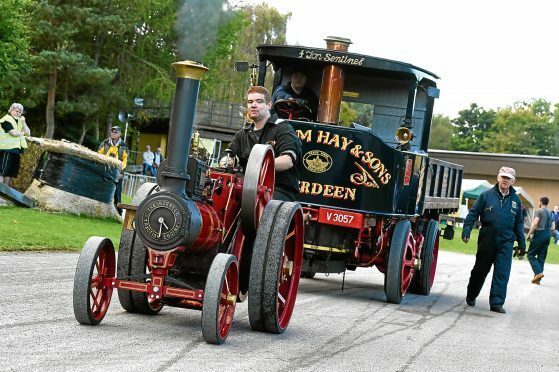 Steam@Alford will be held for the second year in a row thanks to demand, and the museum has teamed up with Bon Accord Steam Engine Club to put on an impressive display. Around 20 steam engines will be used for demonstrations in the museum arena and there will even be a chance to talk to the knowledgeable owners. Visitors will be able to climb aboard for footplate rides, and can even take in the sights from the world’s oldest operational Sentinel steam waggon. There will be a talk delivered in front of the grandstand to explain the workings of a traction engine, followed by a Q&A session. During the afternoon trials and demonstrations will be staged with expert commentary. The oldest engine booked in so far, a Fowler of Leeds, christened Prosper Gem, dates from 1908. There are several steam waggons including The Barracks Steam Museum’s Foden of 1924, known as Heilan Laddie. This vehicle has travelled far and wide under its own steam to events throughout Britain. Steam rollers are well represented as a curious hybrid known as the Puddock is set to return to the traction engine scene after a major refit. This engine began life as a steam roller but was adapted many years ago into a powerful steam tractor sporting pneumatic tyres. It promises to be fun day out for all the family and will include a massive heavy haulage inflatable and a models tent.